What makes an effective dog fire ant bite treatment? The correct answer is: D, a paste of baking soda and water. Fire ants are common ants in the southern United States that belong to the genus solenopsis. These ants are typically red and are known for living in large mounds made of fluffy worked soil found in open areas. The ants are about 1/8″ to 1/4″ long, and when they are disturbed, they tend to gather and crawl up vertical surfaces nearby their mounds. Because these ants tend to live nearby lawns, in parks or playgrounds, active, inquisitive dogs are likely to encounter them at some point or another. 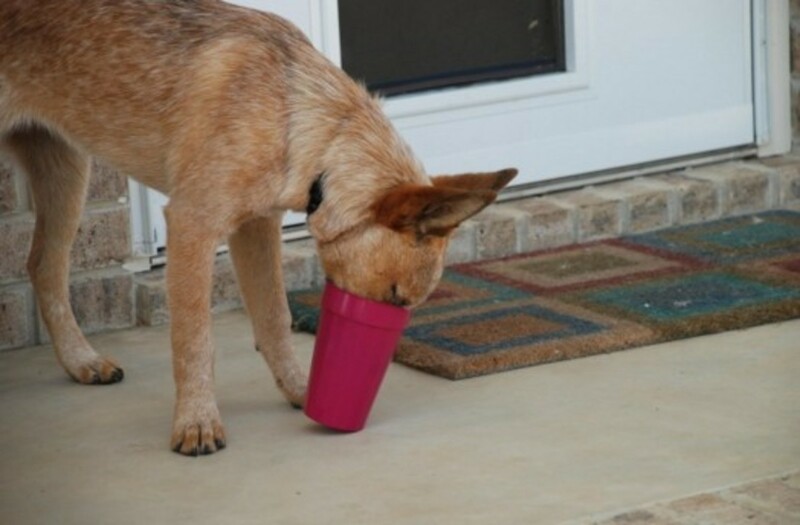 Digging, sniffing and nosing around puts dogs at risk for fire ant bites. When the fire ants feel threatened, they will sting and inject a toxin called “solenopsin.” The burning sensation may cause a dog to lick the area. 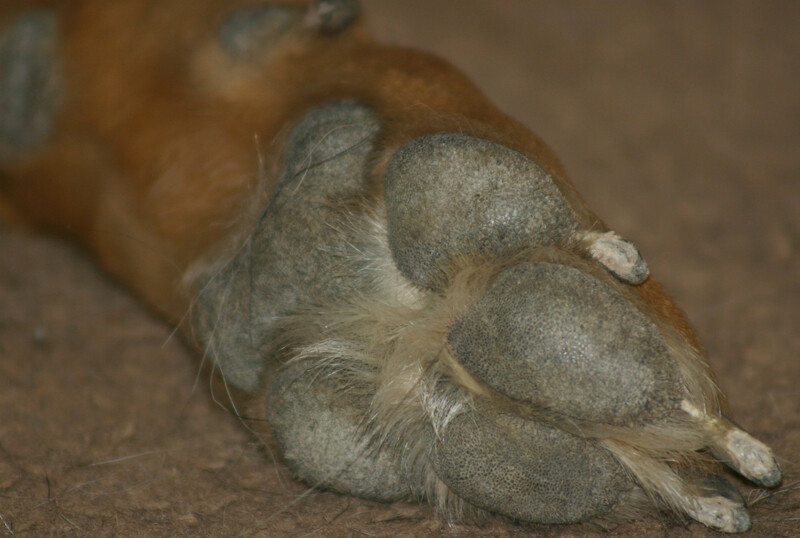 A dog’s paws and upper legs are areas commonly stung as the dog walks around and the irritated ants start climbing. Other vulnerable areas are the dog’s muzzle and belly area. Generally, within minutes dogs develop local irritation and swelling. Also, white vesicles or pustules may form. At the first signs of problems, it’s helpful to make a poultice of baking soda and water as this will help neutralize the sting, explains Amy D. Shojai in the book “The First Aid Companion for Dogs & Cats.” Simply mix one tablespoon of baking soda with enough water to form a thick paste and apply on the area making sure your dog doesn’t lick it off. If the area is a foot or paw, it may help to place a sock for about 20 minutes to ensure absorption. Antihistamines, such as plain Benadryl can be used for mild cases, but it’s best to consult with a vet on proper dosages. As with other types of bug bites and stings, there are risks for serious allergic reactions that may result in anaphylactic shock. Dogs who develop hives, facial swelling and trouble breathing should see the emergency vet at once. Timing is of the essence here. According to the Merck Veterinary Manual death due to anaphylaxis may occur within minutes following the sting. Disclaimer: this article is not a substitute for professional veterinary advice. If your dog got stung and is exhibiting concerning symptoms, please see your vet for proper treatment. Among the variety of dog breeds that populate the world, you may stumble on dogs who blow their coats naturally, dogs who grow hair that needs clipped routinely and dog breeds that need hand stripping. Why do some dogs need hand stripping? Turns out, it’s a matter of how the coats are crafted in certain dog breeds. You won’t have to necessarily hand strip your dog’s coat if he belongs to any these breeds, but if you want to keep your dog’s traditional breed look and or are planning on showing your dog one day, hand stripping may become a way of life. Hand stripping is the process of ridding a dog’s coat of dead hairs. This can be accomplished in two ways, either by using a stripping knife, a serrated edged knife which comes in left and right-handed models, or the good old-fashioned way which involves using fingers. Unlike clipping a dog’s hair using electric clippers which just entails cutting through a layer of hair leaving the root intact, hand stripping involves pulling out every single hair from its root so that there is room for the new coat to grow in. For the girls reading, the difference is quite similar to shaving legs with a razor versus using an epilator or waxing which involves plucking out hair from the roots. Did you know? A dog’s wire hair reaches its maximum life span around 6 months which is when it starts to die off. Dogs who have a wiry coat, basically, those “rough-coated” breeds usually need hand stripping. Dogs with wiry coats generally have a top coat that is wiry and a soft and short undercoat. The wiry hairs are typically rough on the end and soft near the base. Once their hairs of the top coat have reached their maximum length, they will start dying, and thus, remain loosely anchored into the hair follicle until they’re manually removed or shed naturally. One may wonder, what is the advantage of hand stripping dogs versus just clipping the coat? When a dog’s coat is clipped, the wiry hairs lack their rough end and therefore risk becoming soft and of a dull color, whereas the hand stripping procedure grants brightly colored hairs with a nice wiry texture. Hand stripping therefore helps remove dead dull-looking hairs of the dog’s top coat so that the dense, soft undercoat is revealed and room is left so that the new top coat can grow in. The procedure is done twice a year. Stripping entails holding a few hairs between the thumb and side of the index finger and pulling straight out using a gentle, yet firm motion. Those who are using a stripping knife will keep the hairs between the thumb and the blade when pulling out. For better traction, some people like to use chalk. Once the dog’s entire coat is stripped, the dog remains only with its undercoat until the wiry top coat starts growing back. “Rolling the coat” is a similar procedure but it involves routinely going through the whole coat only to remove the longest dying hairs; whereas in stripping the coat all dead hairs are removed so to leave the dog with the undercoat only. According to Groomarts, it generally takes about 8 to 10 weeks for the new coat to come and cover the undercoat. Does hand stripping dogs hurt? Many experts in the field claim it does not as the hairs are already weakened and ready to come out, but until dogs can talk we might not know exactly how they feel about it. There are chances that dogs who are hand stripped from an early age may find the process more tolerable. According to the Irish Wolfhound Club of America, possibly the most bothersome part of all is having to stay still in the same spot for any great length of time, however, certain areas may be more sensitive such as the ear area and the belly. As mentioned, dogs who are hand stripped are often dogs with a wiry coat. Hand stripping can be offered by groomers but it can turn out being a costly service as it’s time consuming and requires a certain level of expertise. Many dog owners opt to hand strip their dogs at home once they master the technique. 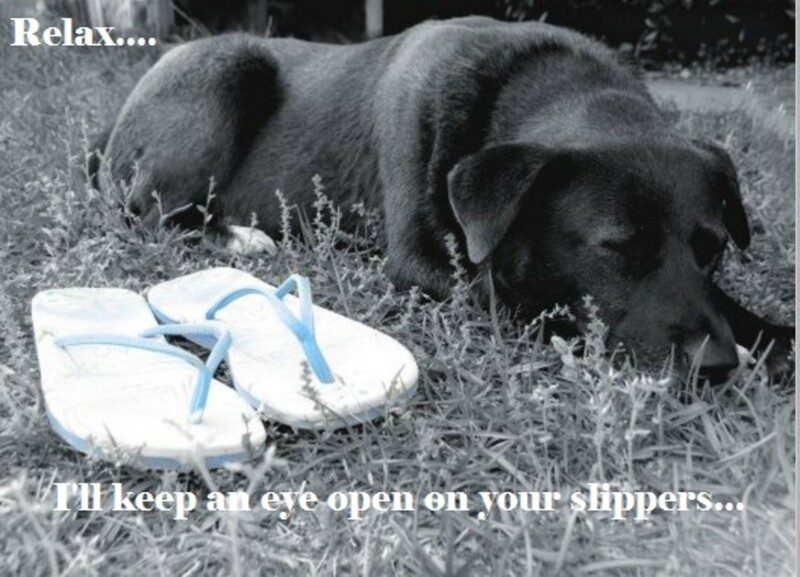 Done correctly, it shouldn’t be painful, and many dog owners attest their dogs even relax and end up falling asleep! For those who do not wish to get their dogs hand stripped but still want to maintain a certain level of “texture,” it’s possible to rake out some dead hairs before and after using the clippers. Following is a list of some dog breeds that are commonly hand stripped. Among humans, belly buttons are quite noticeable whether they are “outies” or “innies,” but among dogs things are far more secretive and you might need to go on some sort of treasure hunt in search of them. If you have already tried to look everywhere under all that fur with little success, you may have been tempted to shrug your shoulders and assume dogs just don’t have one. So do dogs have belly buttons or not? Today, our mission is to discover whether it’s worthy to keep looking for one or to throw in the towel and give up. Before going on a treasure hunt in search of our dog’s belly button, it’s worthy discovering a bit more about belly buttons in dogs. We affectionately call it belly button, but to be precise the technical term is navel or if we want to be more clinically correct, the ideal term is “umbilicus.” For this article though, we’ll stick to belly button because we think it’s cuter. What’s really a belly button though and how is it formed? It might not look like it, but a belly button is simply scar tissue that has formed at the site where the umbilical cord was once attached. Therefore, we can say that the belly button is simply a “memory” reminiscent of the good old days when we were still in our mother’s belly and our umbilical cords were attached to our mom’s placenta so that we could be supplied with oxygen-rich blood. Not all animals have belly buttons though. In order for an animal to have a belly button, it must have a history of having an umbilical cord attached to a placenta. So animals like birds who hatch eggs or marsupials who incubate their little ones in their pouch, don’t fit the description. According to the University of California Museum of Paleontology, these are mammals that prior to birth, are nourished through a placenta. Examples of placental animals include humans, cats, dogs and several non-egg laying farm animals such as goats, cows and sheep. For ease of explanation, we can therefore state that when there’s an umbilical cord, there’s likely a belly button hiding somewhere. Just because your dog’s belly button isn’t readily visible, doesn’t mean it’s not there! For sure, you’ll have an easier time finding it in puppies, shortly after the umbilical cord shrivels and detaches. Afterward, as the puppies develop, their small belly buttons start becoming more and more difficult as their permanent adult coats come in. Fact is, those belly buttons aren’t as relevant as ours. Unlike our belly buttons that are readily noticed, theirs are barely visible often resembling a small barely visible white line or scar. For some dogs, the only indication of its presence is that small tuft of hair you find right below the end of your dog’s rib-cage. “Outies” are quite common among humans, but in the dog world if you notice something sticking out from the dog’s abdomen, you’re likely looking at an umbilical hernia, explain Caroline Coile and Margaret H. Bonham in the book “Why do Dogs Like Balls.” An umbilical hernia is simply a protrusion found around the dog’s umbilical area caused by some fat or a portion of abdominal lining or abdominal organ. Generally, the soft bulge doesn’t cause any particular complications other than looking unsightly, but they can sometimes warrant an emergency trip to the vet when a loop of the intestines become trapped, explains veterinarian Debra Primovic. Eyes play a very important role in our lives and the lives of our dogs. When it comes to dogs, good vision in their evolutionary past meant the difference between getting to eat a meal or starvation or becoming some other animal’s lunch or surviving. Mother Nature has therefore made sure that the eyes of our dogs were protected (and continue to be protected) from harm arming them of eye lashes, blinking reflexes and other protective measures means to protect this dog’s important asset known as vision. Before we drift into deep sleep, we close our eyelids (which are meant to protect our eyes) as sleeping with the eyes open could mean exposing them to the elements, causing dryness and potential damage to the cornea (which can progress to a condition known as exposure keratitis) but what what about dogs? Sleeping with their eyes open would be quite counterproductive! Dogs do not normally sleep with their eyes open. An exception though would be when dogs are undergoing veterinary procedures requiring sedation or anesthesia. During these procedures, the dog’s eyes may stay open as the dog’s blink reflex and tear production decreases. According to Dr. Foster and Smith this is remedied by applying a special artificial tear ointment during these veterinary procedures. But what about dog owners attesting that their dogs do sleep with their eyes open? At a first glance it may appear that way, but at a closer look, we may see that things are a tad bit different than thought. When our dogs look as if they are sleeping with their eyes open, in reality we are looking at a dog’s third eyelid, also known as the nictitating membrane. Indeed, if we look carefully, we’ll notice a light pink or reddish looking tissue rather than the dog’s regular eye color. 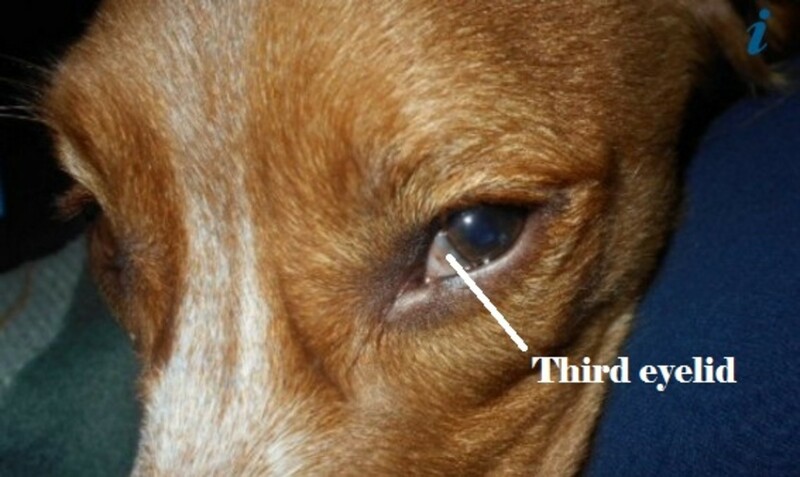 The third eyelid is a protective film of tissue that naturally draws across the dog’s eye when the dog is sleeping. The nictitating membrane therefore helps keep the eyeball moist. According to the American College of Veterinary Opthamologists, the gland of the third eyelid gland is indeed responsible for the production of 40 to 50 percent of the dog’s tears. On top of keeping the eye lubricated, the third eyelid, just like an effective windshield wiper, sweeps off any debris preventing it from attaching to the dog’s eyeball as he’s sleeping. This is ultimately something quite valuable considering that dogs lack our manual dexterity to rub their eyes to remove any foreign items, points out Dr. Eric Barchas. When a dog awakens from sleep, the third eyelid should retract and go back to its normal “awake state” position, which is tucked out of sight in the dog’s inner corner of the eye. Now that the dog’s eyes are open, blinking will take over in keeping the dog’s eyes moist and removing debris. In some cases though, the third eyelid may not retract as it should. This can be due to an eye injury, ocular pain illness or possibly, a damaged nerve, explains veterinarian Betsy Brevitz in the book: “Hound Health Handbook: The Definitive Guide to Keeping Your Dog Happy.” If your dog’s third eyelid therefore is showing when he’s wide awake, it’s best to have the dog evaluated by a vet. When it comes to the many types of leashes for dogs, there are several to choose from and the retractable leash is one option. As the name implies, the retractable leash may sound like a good idea as it allows dogs more freedom on walks, but there are several drawbacks when it comes to their efficacy and safety. It’s important to understand how these leashes work before purchasing one as there are several things to become aware of. So today, we’ll be taking a closer look at retractable leashes for dogs, how they work and their pros and cons. In the world of dog leashes, there are regular leashes that typically come in lengths of 4 to 6 feet and then there are retractable “leashes” which offer the possibility for dogs to wander at distances generally ranging from 15 to 25 feet. How are these “leashes” made? A retractable leash has a plastic handle which houses a thin cord that releases courtesy of a spring-loaded device that activates when the dog pulls. As the dog walks, the owner has the option to allow the cord to release or retract, thus, dog owners can control how much the leash extends through the use of a button on the handle. The main appeal of these leashes is the fact that dogs can be granted more freedom for exploration, but as mentioned they have some drawbacks worth mentioning. Dog on retractable leash spots a bunny across the road. One major drawback of using retractable leashes is the fact they may not allow a good level of control. With the dog 15 to 25 feet ahead, swift intervention is difficult in an emergency scenario. The dog may rush ahead on a road with traffic or may get too close to a dog that isn’t at all interested in such a close “in your face” interaction. The dog may also turn around a curb or around objects that do not allow visibility for the owner. This kind of leash requires owners who are vigilant and constantly scan their environment instead of distractedly texting on their phones. Ideally, a retractable leash should be used in open areas where there are not many people walking or people on bikes or other dogs around. In the wrong setting, this leash may be an accident waiting to happen. It may be safer in many instances having a dog on a 4 to 6 foot leash where the dog is better under control and visible at all times. Injury caused to my hand after using a retractable leash. On top of not allowing much control from a safety perspective, retractable leashes have a history of causing even serious injury. The person walking the dog may get his hands or other body parts tangled in the thin cord and this can cause rope burns, abrasions, cuts and even amputation in some cases. In some instances, large dogs who have taken off in full speed have caused the thin cord to snap back and injure the person walking the dog. The good news is that nowadays more and more retractable are made of retractable tape rather than thin cord, and thus, they are safer than those used years ago. Due to past injuries, many retractable leashes have been recalled. Injuries from retractable leashes aren’t restricted to dog owners. Dogs may also be at risk for injury when they reach the end of the leash at full speed and this can result in neck or trachea problems an/or injuries to the dog’s spine. Did you know? In 2007, 16,564 hospital-treated injuries were associated with leashes, according to Consumer Union’s analysis of statistics collected by the Consumer Product Safety Commission. Retractable leashes are built in such a way as to train a dog to pull. This happens because the act of pulling extends the leash causing the dog to learn that pulling is effective and reinforcing! So if every time the dog pulls, the leash extends, the dog soon learns that puling works so he can get closer to that bush or other dog he wants to so badly go meet. Basically what happens is that when the dog pulls on retractable leash, he feels pressure on the collar and soon the pressure on the collar becomes a cue that means “speed up” rather than “slow down.” explains Lisa Radosta, a board-certified veterinary behaviorist. After several repetitions, the dog risks to finally habituate to the pressure which ultimately “ becomes meaningless as a signal to slow down.” Dr. Radosta further adds that these leashes are not suitable for reactive dogs with a history of barking, lunging, or growling. The use of retractable leashes is quite controversial! There are often heated debates on their use. There are people who love them, there are people who hate them. Many professionals advocate against their use due to safety hazards, but many people feel that it’s mostly a matter of how dog owners use it rather than the tool itself. Some readers have asked us to provide a list of some pros and cons of retractable leashes so to assess this tool better. Here are a few that come to mind, but readers are invited to add further pros and cons in our comments section. May be helpful for the disabled who need to send their assistance dogs at a distance to perform tasks. This leash is also less likely to get caught in a wheel chair’s wheels. It’s an option for well-trained dogs under good voice control. It gives dogs who are difficult to potty some distance and privacy from their handlers. It can train dogs to pull and the pulling behavior may be difficult to eradicate. Some products may be flimsy and low quality. In some places, it’s against the law to use a leash that it longer than a few feet. The handle can slip out of the hand and scare the dog when it’s dragged. Puppies and dogs may easily chew through them if not supervised. Some dog owners find the handle difficult to hold. Avoid using retractable leashes to tie up your dog! Some problems with retractable leashes can happen with other types of leashes, but there are considerably more risks when a dog is walking at a distance ahead in places that can put other dogs and people at risk. Even though there are many fans of these leashes who claim to have used them for many years without incident, one must remember that it only takes one time for a tragedy to occur. There is no such thing as a completely safe retractable leash, but there are some precautions that can be taken to minimize risks. Lock the leash for distances that are safe or acceptable based on each environment. Respect others! When around other people or dogs retract the leash so your dog is next to you. Look for high quality retractable leashes that are made of a retractable belt versus a cord. Train your dog to walk on a regular leash for those instances when a retractable leash may not be feasible. Commit to always be vigilant scanning the environment for potential dangers. And here’s an interesting “twist” on the use of a dog flexi lead in dog training! Flickr, Creative Commons, Amber & Eric Davil, Dog, It’s Ruby SoHo! Becky owns a smart, five year old border collie mix who goes by the name of Sammy. Sammy has been going through a period of finickiness, not wanting to eat her kibble as usual. Becky, concerned about the behavior, started giving in and feeding her at the table some table scraps. Her vet though said that her dog just had a bout of stomach problems causing her to be finicky, but now that she is doing better, he recommends stop feeding the table scraps as she has already started gaining some pounds and has a sensitive tummy. He therefore tells her to start ignoring her begging behaviors and feed her exclusively a special prescription diet food. What’s the name of the phenomenon that’s likely behind the worsening of this behavior? The correct answer is: C, an extinction burst. The word “extinction burst” may sound like an odd term that can bring to mind animals that no longer exist or some sort of explosion, but it’s quite an effective term in depicting what is going on once we take a closer look at what it entails. Chances are high that if you own a dog, at some time or another, you may have witnessed this phenomenon. When it comes to dogs, undesirable behaviors are often what people ask for help with. Dog owners may wish to “stop” certain attention-seeking behaviors from occurring such as begging at the table, jumping, pawing or barking at their owners when bored. Before discovering extinction bursts, let’s first see what happens when a behavior is in the process of extinguishing. In psychology, the term extinction is used to the phenomenon where a behavior with a history of reinforcement no longer yields the reinforcing consequences. We know that certain dog behaviors are fueled by attention, so if your bored dog barks at you when you are sitting on the couch and you get up and play with him, your attention will have fueled (the correct term would be reinforced) the barking behavior. The attention given quite often thus allows the barking behavior to stay alive, fueling it like oxygen does to a fire and preventing it from extinguishing. In the case of the dog’s begging behavior getting worse, it’s therefore undergoing an extinction burst as the owner is no longer, “feeding” the behavior. In the case of the dog barking for attention, the barking gets more persistent and louder. We can see the same phenomenon in humans. Here’s a practical, real life example. A mom always gives in and buys candy for her child when she cries when visiting the grocery store. Then one day the child’s dentist notices the candy is ruining the child’s teeth. So from the next day, no more candy. The child cries, and cries and cries throwing a temper tantrum but mom is determined not to give in. What happens though after several day in a row of not buying candy? The behavior of crying gets temporarily worse but then eventually extinguishes just like a fire that is deprived from oxygen. When dog owners stumble on the extinction burst they may start doubting and wonder if their behavior modification program is truly working. “The vet told me to ignore the behavior, but the begging is getting worse, maybe it’s time to change protocol?” Changing protocol though could be a big mistake. The fact an extinction burst takes place is a sign that what is being done is actually working! A little more persistence in further ignoring the behavior will therefore likely yield to extinction. The worst thing one can do during an extinction burst is giving in such as buying the child candy when he’s throwing the temper tantrum just to shut him up. This would fuel the behavior even more than before, turning it into a bigger fire that is always more and more difficult to extinguish! Next time, you can bet when the child doesn’t get candy, he’ll be turning into a scaled down version of the Incredible Hulk! Not Always a Bad Thing! Extinction bursts are not always a bad thing! First and foremost, as we have seen, if you are trying to extinguish an unwanted behavior, the extinction burst is a good sign, meaning that things are progressing and that after the hill, if you persist in not reinforcing it, you’ll likely have a smooth road ahead. Terry Ryan, dog trainer and author of the book “Coaching people to train their dogs” likes to tell her clients when they stumble on their first extinction bursts and get discouraged: “Great! He got worst! That means extinction is working!”So if you continue withholding reinforcement, the behavior will eventually weaken and eventually vanish. On top of this, extinction bursts can also be used to your advantage in training your dog. So let’s say you are trying to train a behavior, but you want to see more motivation or variability. In the case of increasing motivation, let’s imagine we are training our dog to do attention heeling, where the dog looks up at you while walking. We reward the dog for looking up at us quite often while walking, we have been doing this for some time, but at some point, we want our dog to look to be a bit more motivated so to create a flashier looking heeling. So we stop rewarding as often. The dog at some point may look at us with more motivation. This is when we want to lavishly praise and reward! We can see an example of this increase in motivation in the video below. At some point though your dog may think of trying something else to gain reinforcement, perhaps something he has done in the past that has gained it. So he might at some point decide to use his paws. Bingo! “You click and reward the behavior. In the meanwhile, your dog may think something along the terms of “Aha! so this is the behavior that now gains a reward!” and soon your dog is on his way to playing with his paws more and more. Warning: removing reinforcement too early in training or with dogs who are inhibited and tentative in offering variable behaviors may discourage them and cause them to give up rather than trying harder! Here’s an Example of Extinction Burst, where during the second half of the video, the dog being reinforced less often than before, starts working harder when pulling the laundry out and pushing it into the owner’s hand! You might have never heard about your dog’s inter-ramal tuft, but rest assured, you have likely noticed this anatomical feature on your dog many, many times. This technical sounding word simply refers to that little batch of whiskers found under your dog’s chin. It may feel tempting at times for some dog owners to grab a pair of scissors and remove these hairs, but it’s worthy of thinking it over twice, especially after we discover why these hairs are there in the first place and the important role they play in a dog’s life. So today, let’s have the dog’s inter-ramal tuft do the talking so that we can better understand these facial hairs and tell us their story. Hello, and thank you for stopping by and listening to my story! I am your dog’s inter-ramal tuft, a solitary tuft of hair found under your dog’s chin. My name may appear a tad bit technical and some people like to refer to me as simply the “tuft of whiskers under the chin.” This is fine with me too, as I technically fall under the whisker category. 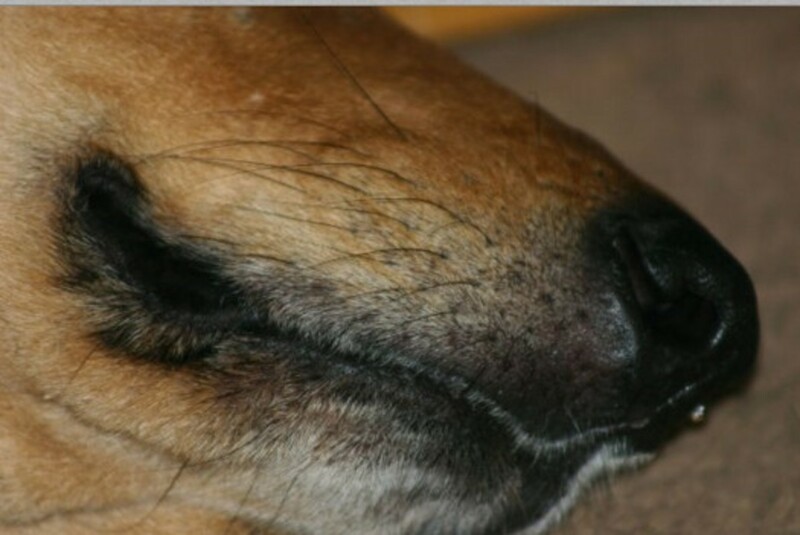 You see, when people think about dog whiskers, they tend to mostly think about the hairs sprouting from the dog’s muzzle, right above the lips. These whiskers are known as “mystacial whiskers” perhaps because they appear in the area where in humans mustaches tend to grow. Dogs have more whiskers though, such as those found on top of the eyes (superciliary), by the cheeks (genal) and then under the chin (yup, that’s me, the inter-ramal tuft!) As other whiskers, I am made of thick hairs that often sprout from a dark little spot of skin. Ooops, things got tight in here! Think cars and only trucks have blind spots? Think again! Dogs have blind spots too and one of them is just under their chins. Now you know why your dog has sometimes a hard time seeing that treat you just tossed him that is right under his nose! While your dog’s mystacial whiskers provides your dog with sensory information about what is on his left and what is on his right, I provide your dog with information on what is found right beneath his head so to keep him informed and safe. So it is thanks to me, the inter-ramal tuft, that your dog is able to tell how close or far his head is from his food bowl and water bowl. I also help dogs when they go on their digging adventures and try to fit their heads in holes or inside tunnels or when they sniff with their noses close to the ground. From an evolutionary standpoint, I have a history of helping dogs they were digging with their noses and nosing around looking for foods near the ground. As seen, I am not just sitting there thumb dwindling all day nor am I am there for decorative purposes. I perform some important functions to keep your dog’s head protected and safe. I therefore tend to cringe when I see dogs going to the groomer and having me chopped off just to provide for “a cleaner” outline of the jaw. Many times groomers are forced to chop me off, as it would be very difficult to avoid me as the dog’s facial hairs are trimmed off (think poodles). However, the good news is that once trimmed off, I will readily grow back. In the meanwhile though, according to veterinarian Roger L. Welton, your dog will need to adjust to the way he senses his surroundings. I hope this has helped you understand me better! Hiding, down right under your dog’s chin, I live a bit in the shadow, so it is easy to forget about me! Now that you know me better, you can have a better idea of what I do when you watch your dog navigate the world. In the meanwhile, I send you dear regards. Did you know? According to Stanley Coren, there are several areas of the dog’s brain purposely crafted to register tactile information. Out of all these areas, nearly 40 percent is dedicated to the regions of the dog’s facial area, particularly the areas of the dog’s upper jaw. Vet Street, What’s the Deal With… Whiskers? by Dr. Mary Fuller, retrieved from the web on May 23, 2016. 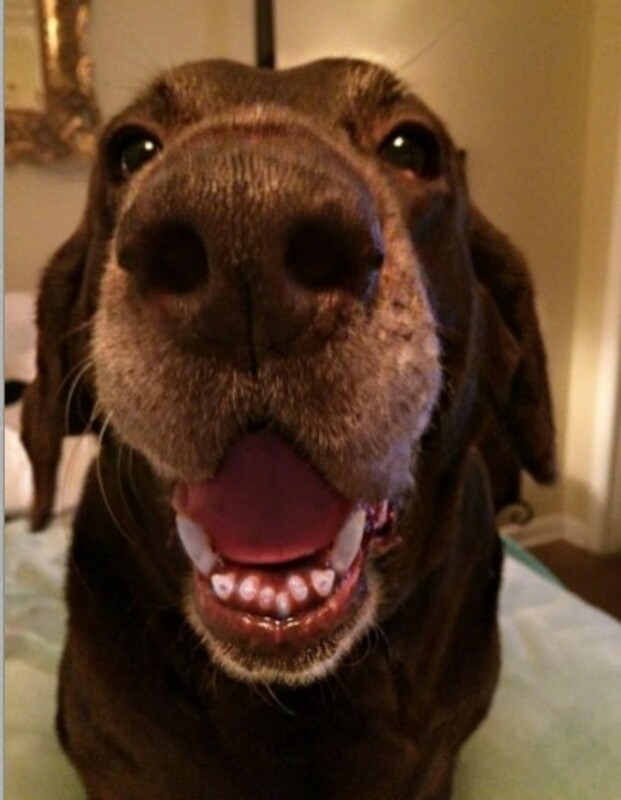 They say eyes are the windows to the soul, and those brown eyes in dogs are truly expressive! When it comes to dogs, Mother Nature seems to have equipped the majority of dogs with brown eyes and made it the default color, but occasionally you may stumble on dogs with other eye colors. This seems to also be a common pattern in many other animals, with brown being the most popular color on the palette when it comes to eye colors. Despite the fact that dogs are likely the most varied looking animal on earth (they come in so many shapes, colors and sizes!) it may seem a bit peculiar that Mother Nature got a bit stingy in the eye color department, but for sure she was generous in giving those brown eyes different hues. Whether your dog has amber eyes, hazel eyes or light brown, medium brown or dark brown eyes they sure have quite an expressive touch! 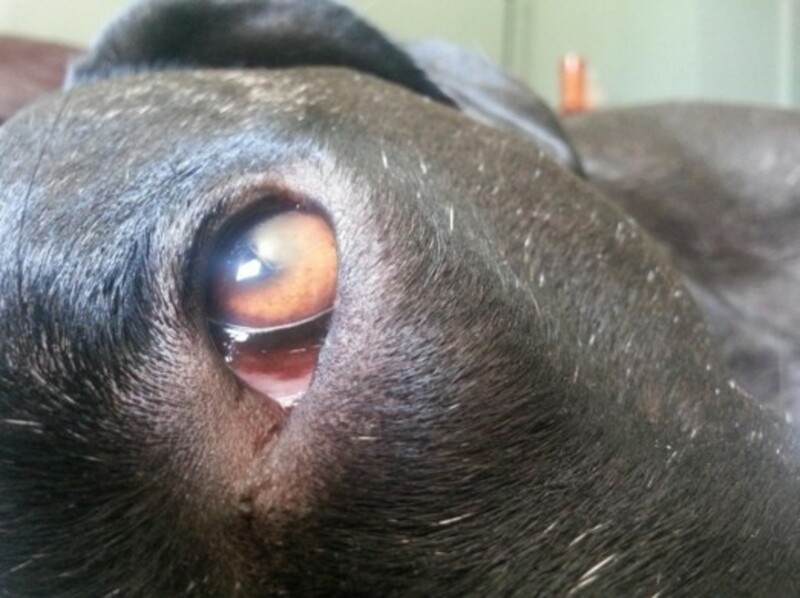 What determines how dark a dog’s eyes will become? Genetics aside, it’s a matter or melanin. The colored eye part of the eye that encircles the dog’s black pupils is known as the “iris” and its pigmentation varies from one dog and another depending on its concentration of melanin, a pigment that is responsible for giving color to skin, coat and eyes. Therefore, dogs with brown eyes have a greater concentration of melanin in their iris compared to dogs with lighter colored eyes. Without melanin, dogs would be albino and have a white coat, pink skin and likely their eyes would be pinkish in color. Melanin production doesn’t start from the get-go. 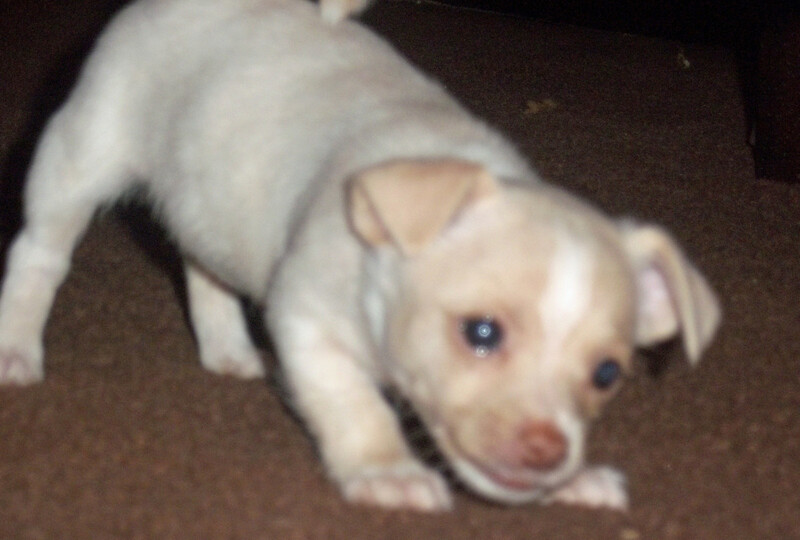 Because of this, most puppies are born with blue eyes. As the pups develop, their eyes will turn their permanent color at around 2 months of age, explains Stanley Coren in the book: “Do Dogs Dream? Nearly Everything Your Dog Wants You to Know. ” By this time, most puppies will therefore develop brown eyes. 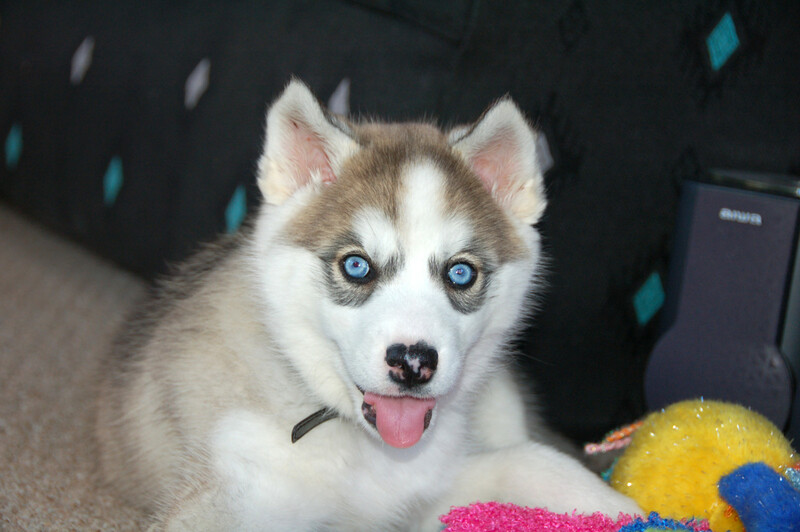 No change by this time frame may be indicative that the blue eyes are likely to stick around in dogs genetically prone to having blue eyes. The shade of eye color in dogs can also vary based on coat colors. For example, according to Powerscourt Cocker Spaniel Breeders, in a puppy with a merle coat, the blue eyes will fail to darken because the merle gene dilutes the melanin pigment, therefore the blue eye color becomes permanent in this case. When it comes to brown eyes, certain shades are exclusively seen in certain coat colors. For instance, according to Dog Genetics, liver dogs always have amber eyes as the liver gene dilutes the brown eyes to amber and the nose is diluted to light brown. 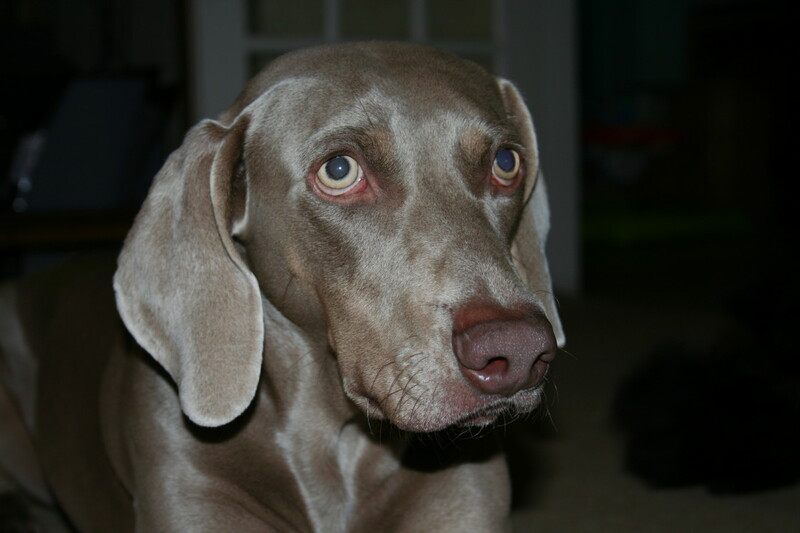 Amber eyes may range from light brown as seen in the Pharaoh hound and Anatolian shepherd, to yellow or even almost grey as seen in the Weimaraner. Amber eyes are also popular in dogs with a blue or isabella coat, and sometimes amber or copper eyes are present in dogs with black pigment. Most dog breed standards call for dark brown eyes in our canine companions. Interestingly, canines in the wild instead have lighter colored eyes compared to our domesticated dogs. 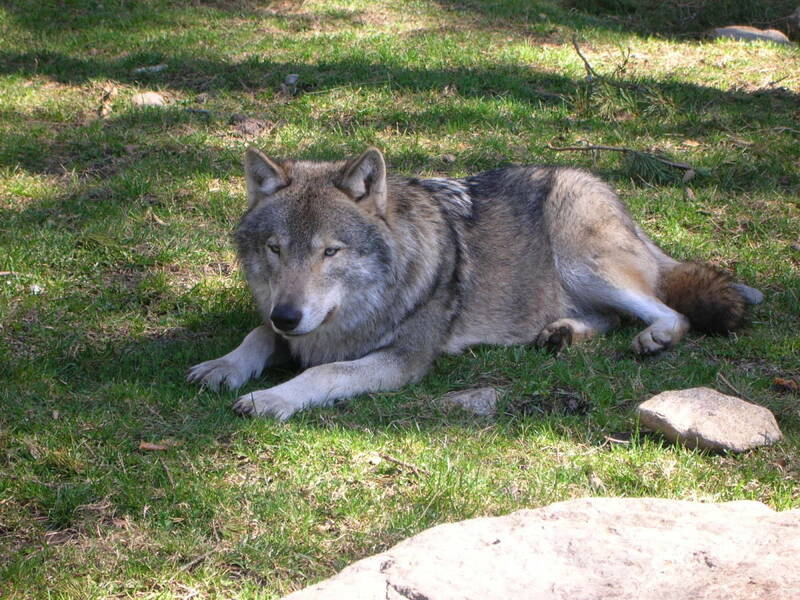 Wolves, which are the dog’s ancestors, often sport an eye color ranging from gold, to amber or light brown with hues of yellow or even gray, claims Lisa Dube Forman, an American Kennel Club Dog Show Judge for Irish Wolfhounds and Afghan Hounds. There may be chances that domesticated dogs were selectively bred to have darker eyes due to cosmetic appeal. Lighter colored eyes referred to as the yellow “bird of prey” color is often frowned upon in several breed standard (it’s a serious fault in the Rottweiler and means for disqualification in the cane corso and Polish lowland sheepdog breed) as it tends to give dogs an unappealing harsh look according to the American Kennel Club.